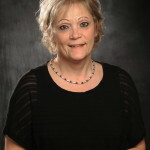 I am very happy to be working as a realtor with Billings Real Estate Professionals. I grew up in Montana, married my high school sweetheart, raised four children, and am now blessed with nine grandchildren. I will work very hard to ensure that you have a positive experience in selling your home and /or buying your new one. I am so excited to make this move with you! Give me a call anytime at 671-8693.